I wrote this blog on Tuesday 6th October 2015 but I didn’t post it because I didn’t want to tempt fate. Unfortunately fate is doing it’s own thing right now and my premonition was no more than logic. Dressed up in different clothes but all the same, on 9th October 2015 the HBOS Reading trials were put back to September 2016. There is nothing in this blog that breaches sub judice. This isn’t about the merits of the case it is only about the conduct of the case and I make no mention of the content of the allegations. I would however point out that 9th October was a very very sad and even catastrophic day for a lot of people – but, as always, that seems fairly immaterial to the situation and, as far as I know, no one considered the victims when the case was moved. Justice delayed is justice denied (written 6th October 2015). Six years ago today Paul and I finished writing a report for the FSA on the subject of HBOS Reading. At that point we had already been investigating events originating at HBOS Reading (that’s the PC description) for over two years. Also at that time we were living on the bread line, our business had been trashed, HBOS/Lloyds had already tried to evict us about 17 times (22 times in total) and no one was really interested in our allegations of fraud. In 2010 Thames Valley Police finally started an investigation and 12 people have been arrested. It took until January 2013 for anyone to be charged and the criminal trials were due to start in January 2015. But in October last year, the victims of HBOS Reading were suddenly told the trials had been delayed for a year. They are now due to start in January 2016 – or are they? Call me a cynic but the articles in the press yesterday about the Chancellor, George Osborne’s intentions to off load £2BN worth of Lloyds shares with various discounts and incentive schemes thrown into the pot, rang some alarm bells. This bargain basement sale is due to have completed by Spring 2016 and I can’t help but wonder if a major criminal trial about events in Lloyds unruly pup HBOS is really going to persuade the public they want to get involved with Lloyds? Of course Lloyds don’t need to rely on the antics at HBOS to tarnish their reputation. At SME Alliance we see examples of outrageous and potentially criminal bank conduct every day and while it would seem Lloyds can’t actually hold a candle to RBS, they don’t do so well in the popularity stakes. Lloyds have huge issues to address and plenty of group litigations to look forward to. Do they care? According to Rowan Bosworth-Davies, giving a powerful speech at an SME Alliance meeting yesterday, top bankers consider themselves to be a protected species. I have no doubt he’s right and that’s exactly what they believe. However, what worries me more than the conduct of bankers is the conduct of politicians and the judiciary. 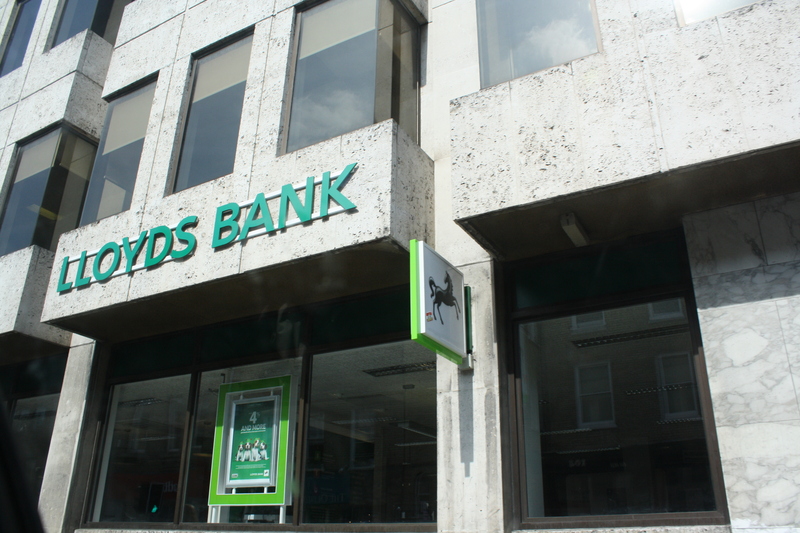 Meanwhile Lloyds are now going to become the best thing since SID. Fine, and I really wouldn’t care (because I can see why George is doing it, although the ethics of letting RBS buy their own shares with the money they borrowed from the State, does seem something that would have Mr Micawber turning in his grave) except that, in the case of Lloyds, I have a horrible feeling that all those skeletons Mr Horta Osorio wanted dragged out of the cupboard when he took over as boss, are about to be put back in and even bricked up. Then there’s the HBOS report which apparently some MPs are getting a bit tetchy about. As I blogged the other day, we have been warned about the likely redactions. But in my opinion, redactions won’t be enough. I think it’s likely to be delayed again and, if not, the redactions and re-write’s to protect the great and the good (not Hornby, Cummings, Stevenson or Crosby – I don’t think they are a protected species any more) will mean the report has limited value. We may get something in October as we’ve been promised but I’m guessing the full report, when all the Maxwellisation and Re-Maxwellisation has been completed and enough lawyers have made sufficient money to sail off to the Cayman Islands in a beautiful pea green boat, will appear late Spring and after the Lloyds shares have been sold. And on whose orders? A lot of people will be eager to read Paul’s book and the HBOS report (believe me, the book will be the better read). However, the victims of HBOS Reading are not waiting to read a book. Not even my book which is about HBOS Reading. We are waiting to get our lives back and we’ve waited a very long time. Given the trials are about events that happened between 2002 and 2007, some of us will have been waiting 14 years by the time the trials are over. And the idea (and it is only a suspicion) that the trials will be moved again to fit in with the Lloyds share sale or for any other reason, makes me feel physically sick. Not only because I am tired, I’ve had enough and I want out of the nightmare this has become – but because I am literally terrified at the idea politicians can manipulate the criminal justice system to suit their ends and those of the 1%! Surprisingly I have a lot of friends who are lawyers, barristers, QCs and even the odd Judge. They are good people and I know many of them care passionately about justice. They are also common sense people and I know many of them have campaigned against the cut in legal aid and the rise in court costs for people who can ill afford to take on gigantic corporate organisations. SME Alliance relies on the good advice we get from good people in the legal world – some of our members haven’t always had good advice but we are gradually getting together a very good team. When I explain to my friends how often the Reading trials have hit delays and for how long, they are shocked. I’m not sure our new friend Rowan Bosworth-Davies will be shocked if, for what ever reason the HBOS Reading trials are moved to late Spring. I don’t think my good friend Brian Basham will be shocked nor will Paul Moore be shocked. I won’t be shocked but I will be devastated. If it happens and I genuinely pray we won’t have another delay, it will cause untold pain, misery and unhappiness for a group of people who are already at the end of their wits. And personally, whatever reason is given for another delay, I will find it hard not to think it is to accommodate George Osborne’s sale of the Lloyds shares. And, were that to be the case (although of course that would never be the reason given) that would be a bad day for democracy and for truth and justice because, whatever politicians do and what ever power they have, they should never have the power to interfere with justice. This entry was posted in Bank of Scotland, Banking, Banks, BoS, Brian Basham, Conservative, Conservatives, David Cameron, economic crime, FCA, FSA, Gordon Brown, Government, HBOS, HM Treasury, James Crosby, justice, law and order, Lloyds Banking Group, Lloyds TSB, Maxwellisation, Paul Moore, RBS, Rowan Bosworth-Davis, SME Alliance, Taxpayers and tagged Andy Hornby, Bank of England, Bank of Scotland, bankers, banks, David Cameron, FCA, Gordon Brown, HBOS, HM Treasury, Lloyds Banking Group, Lord Stevenson, Paul Moore, PCHoBS, Political Party, SMEalliance, TSC on October 11, 2015 by SME Alliance. I’m confused – for years now the FSA followed by the FCA have been looking into the conduct of HBOS. Whether or not he is considered good guy or bad guy, I know Hector Sants (who admittedly took some persuading) was eventually keen to get to the bottom of what had been going on in HBOS and he wasn’t in the mood for ‘cover up’ when he released the BoS Censure Report in March 2012. Not long after that he mysteriously went from being the golden boy tipped to take a top job at the Bank of England, to relative anonymity. Since then nothing has been heard about the Section 168 Report commenced in June 2010 specifically into HBOS Reading (probably because of the ever pending criminal trials due to start in January 2016) and the overall report into HBOS and its top management has been continually delayed. Articles in the press yesterday seem to confirm that report will be out next month (October 2015). However, even now, after the endless delays and God knows how much spent in legal fees by the Bank (I imagine Lloyds has picked up the bill for Stevenson, Hornby, Cummings and Crosby – if he’s actually included) and the regulator, we have now been warned to expect redactions. How does that work? The regulator does an in depth investigation into the catastrophic demise of HBOS and the people who were running the Bank don’t like the conclusions the FCA have reached – so they are able to have certain parts redacted. I’m not saying the report found anything criminal (although in my personal view I fail to see how it couldn’t have found some very shady conduct) but even in a civil court, could someone ask a Judge to redact the bits of evidence they don’t like? Imagine, “your honour, I don’t think the evidence before you puts me in a favourable light so I’d like that bit crossed out.” I would love to have any current photo taken of me photo shopped so I look thirty years younger but the truth is, I’m not. These possible redactions are similarly trying to change history – and it can’t be done. Neither should anyone countenance attempts to do so. I have been told (repeatedly) that the FCA has quite extraordinary powers, should it care to use them. I know the powers of the FSA were split between the FCA and the PRA but all the same, how can top bankers or their legal teams, oblige the regulator to redact the findings of its own report? It makes no sense. Neither does the sharp ‘Harp’ exit of Mr Wheatley make sense. I find the whole thing very concerning. Rumour (or the media) has it, Mr Wheatley was too ‘consumer friendly’ and this did not fit in with Mr Osborne’s plans to make sure the City Of London retains pride of place in the financial world. Which is a bit odd because lately, even the BBC has been portraying the Square Mile as something akin to the Guild of Thieves from the Disk World. Therefore, what worries me is this: if Mr Wheatley had to go because he wasn’t banker friendly enough, how can we expect Mr Osborne to allow a full, frank portrayal of what went on at HBOS? Although various MPs and, I think, the TSC have demanded to see any redacted passages, how can other people, who have first hand experience of what was going on at HBOS, ever challenge what they will never see? I do know what some of the information and evidence the PRA received to contribute to this report was, as I sent some, as did Paul Moore. We didn’t send it randomly in the hope someone would read it, we were in direct contact with the PRA and the Bank of England via the Governor and we know they all received and read our evidence. Consequently we have our own views on what the FCA Report should include. It’s not a pretty picture and I have often wondered how the bankers concerned would refute this evidence? Well obviously, if the contentious or nasty bits of the report are redacted, they won’t have to! Redaction has been a big issue with SME Alliance recently. Members sending Direct Access Requests (DSAR) to get their information from their own central files in banks (mostly RBS) have received such varied replies, we’ve asked both RBS and the Information Commissioners Office (ICO) to clarify exactly what members should expect to get. The answers so far have been as clear as mud but it is pretty clear no one should be getting entire pages redacted. Neither should anyone be getting information that has been manipulated or tampered with (that’s another story coming soon). We are struggling to get to the bottom of Section 7 of the Data Protection Act 1998 and a definitive interpretation. But I’m not sure Section 7 of the DPA was ever intended as a barrier to regulators publishing reports on banks or bankers! Neither was Maxwellisation and the remarkable Re-Maxwellisation meant to be used as a means of delay or ‘cover up.’ These are clearly new techniques invented by the very clever (and well paid) lawyers of La La Land – but that doesn’t mean we or the regulators should blithely accept them. My other concern is that while this report may actually be more candid than others before it (I’m remembering the 1 page press release fiasco from Lord Turner about RBS http://www.publications.parliament.uk/pa/cm201213/cmselect/cmtreasy/640/640.pdf ), it will be written in such a way as to minimise any potential legal actions against Lloyds Banking Group who merged with HBOS. Contagion is a huge issue for the banks and I’m sure the emphasis of this report will be on “this is what HBOS did but Lloyds were totally unaware of any of this.” Which begs the question (again) – why would Lloyds go ahead with such a critical merger without knowing chapter and verse of what they were getting involved with? Money laundering rules being what they are these days (or profess to be), banks need so much information to open an account, I’m waiting for “what colour knickers are you wearing” to be added to the list of KYC questions. So it is inconceivable Lloyds had inadequate detail about their new partner. And, in my opinion, Lloyds didn’t just merge with HBOS, they’ve done a pretty good job at morphing into the same sort of unethical and unattractive organisation. Last thing – I know many victims of HBOS have waited years now for some sort of closure. The criminal trials regarding HBOS Reading have taken years to happen (if they ever do) and the various reports on HBOS have been endlessly delayed and now (probably) redacted. While I don’t suppose the ex management of HBOS have been quite as cavalier about the FCA report as they were about running the bank, I very much doubt if any of them have suffered anything like the hardship the banks’ victims have. Some of us have had our businesses ruined and our lives on hold for many years. Not to mention the many people who lost their savings and their retirement plans via the disastrous way HBOS was run. So I really hope, regardless of the HMT’s desire to hang on to its golden goose (that many of us feel is actually a dead duck), that when the HBOS Report does finally come out, it is as honest as harsh and as damning as it should be. Hector left us with the BoS Censure Report – before Mr Wheatley left, let’s hope he finished the job and, for once, let the blame fall where it’s due. This entry was posted in bailouts, Bank of England, Bank of Scotland, Banking, Banks, BBC, BoS, FCA, FSA, Government, HBOS, HM Treasury, James Crosby, justice, law and order, Lloyds Banking Group, Mark Carney, Maxwellisation, Paul Moore, RBS, SME Alliance, SMEs, Taxpayers, TSC and tagged Andy Hornby, Bank of England, Bank of Scotland, bankers, banks, FCA, FSA, HBOS, HM Treasury, Lloyds Banking Group, Lord Stevenson, Paul Moore, Peter Cummings, regulators, SME, SMEalliance, SMEs, TSC on September 27, 2015 by SME Alliance. Just a very quick blog – mostly a copy paste job because I am very confused by the Bank of England Minutes 07-09 which were published today. I have to admit I have not read the entire document but, as of September 2007 I am surprised the minutes did not contain masses of detail and concern about HBOS (Fox) or Lloyds (Lark). In October 2012 the Bank of England presented the Plenderleith Report to the Court. I went through this report with a fine tooth comb because of some work I was doing with Paul Moore. And I came to the conclusion that, even although it did little good to the economy, the Bank of England, albeit frustrated by a lack of data from the FSA, was closely monitoring HBOS by September 2007.
focus on the liquidity position of RBS, but its funding problems did not in fact crystallise untila late stage, after the failure of Lehman Brothers. lacked the granular detail the Bank required for an operational response like ELA. Equally, while the Bank could identify the threat that vulnerabilities in individual banks posed to wider systemic stability, the FSA was less closely focused on the deteriorating systemic picture. Under the pressure of events, this underlap was progressively bridged during the course of 2008, but it hampered how far in advance the Bank could get a clear view of the strains building up on individual banks. emptively to provide bilateral liquidity support before the need becomes immediate. meant that HBOS was likely to be particularly vulnerable to a change in market sentiment. Bradford & Bingley because of its more diversified business model. were shared with the Tripartite Standing Committee in October and November 2007.
from the Bank caused a sharp fall in HBOS’s share price on 19 March. At this stage the Bank was considering in detail the consequences of HBOS, like Northern Rock the previous September,being unable to fund itself in the markets. not come as a surprise and the Bank was able to respond rapidly. This report suggests the BoE and the Tripartauthority were fully or at least partially prepared for the Crisis. I could be wrong but the reports on the minutes seem to infer this wasn’t the case. This entry was posted in bailouts, Bank of England, Bank of Scotland, Banking, Banks, BoS, economic crime, FCA, Fines, FSA, Gordon Brown, Government, HBOS, HM Treasury, Labour, Lloyds Banking Group, Lloyds TSB, Political party, RBS, Rights Issue, TSC, Westminster and tagged Andy Hornby, bailouts, Bank of England, Bank of Scotland, bankers, banks, FCA, FSA, Gordon Brown, HBOS, HM Treasury, regulators, Rights Issue on January 7, 2015 by SME Alliance. Following on from yesterday’s Indy article about the HBOS Rights Issue, can we at least stop subsidising fraudulent conduct in banks? I don’t suppose the Government, Lloyds, the Regulator or the BoE will be happy with that line of investigation. Not least because it opens the door to a whole torrent of questions about how many other transactions, involving state subsidised banks, have been less than transparent? And perhaps the biggest question will be – was the information in the Lloyds/HBOS Merger proposal, as accurate and transparent as it should have been? Joining up all the dots, I begin to get a very clear picture of La La Land and it’s not pretty. As I am definitely a layman in these matters (albeit a fairly well informed one), I thought I’d take this opportunity to share my view of what’s happened over the last few years. Round up of events in La La Land. In 2008 and after exceptional spending sprees by both the banks and the public, the proverbial finally hit the fan and many banks ran out of money. The Government, terrified they’d have a repeat of the Northern Rock débâcle, gave the banks billions from the taxpayers’ coffers. As this resulted in mass austerity, the Government were loath to let anyone know exactly how bad a shape some of the banks were in (some were insolvent) and they certainly didn’t want the public to know the exact details of the billions being handed over, so they did their best to keep it all quiet. They (and the banks) even kept it quiet from the people being asked to invest in the banks via rights issues and/or sanction the HBOS-Lloyds merger, although they didn’t have to keep it quiet from institutional investors, because they were ‘in the know’ and had no intention of investing in insolvent banks. However, after the credit crunch the banks could no longer be seen to lend with reckless abandon (which was a bit annoying, as they rather liked basing bonuses on inflated loan books), so they invented other reckless and ingenious ways of making money – e.g crippling the SME sector and stealing assets. Best of all, having totally screwed up and taken everyone’s money, they came up with their most ingenious plan to date – they sold us all the simple concept that – if we didn’t allow bankers to keep taking bonuses, they’d walk away – and then we’d all be screwed. To make sure that dreadful day never comes, we continue to subsidise banks so they all live happily ever after. That sounds like a pretty dark fairy story and the darkest bit is – it’s not a fairy story. So I hope somewhere, someone in authority (not mentioning any names Mr Tyrie) will have read Tom Harper’s articles, Ian Fraser’s articles and I’m hoping Max Keiser will invite Paul Moore back on the Keiser show to talk about the appalling behaviour of HBOS, Lloyds and other banks. Because, crazy as is it and despite all the rules, laws and regulators we have, I think our best chance of getting banking reform is to report bank misconduct to the media and then spread the word via Twitter? Of course, that could ultimately do enormous damage to some banks but I can see little alternative to this course of action. It’s a huge problem that while we definitely do have regulators, it seems La La land is out of their jurisdiction – which is the obvious reason they cannot do anything to penalise errant bankers. *Here’s a thought – if we’re going to rely on journalists to clean up the banking world – maybe we should be paying our financial journalists (and their research teams) more and getting rid of regulators? We’d save a fortune and get some results. Anyway, what upsets me most about all this is how we continue to let ourselves be mugged and my point is: If banks are intent on continuing to cheat their customers, destroy SMEs and refusing to compensate the people they defraud while insisting they still get huge bonuses – fine. It seems there’s little we can do about it. But can we please, please stop subsidising this conduct? This entry was posted in bailouts, Bank of England, Bank of Scotland, Banking, Banks, BoS, FCA, Fines, FRC, FSA, Gordon Brown, HBOS, HM Treasury, Ian Fraser, JP Morgan, KPMG, Lloyds Banking Group, Lloyds TSB, Paul Moore, PCHoBS, PWC, RBS, Rights Issue, Tom Harper, TSC and tagged Andy Hornby, auditors, bailouts, Bank of England, bankers, banks, credit crunch, ELA, FCA, Fines, Food banks, FRC, FSA, Gordon Brown, HBOS, HM Treasury, Ian Fraser, Independent, KPMG, Lloyds Banking Group, Lloyds TSB, Paul Moore, PCHoBS, PwC, Rights Issue, Tom Harper on September 1, 2014 by SME Alliance.